INT-IL-2-20 connectors are for use with 22-20AWG Cables. 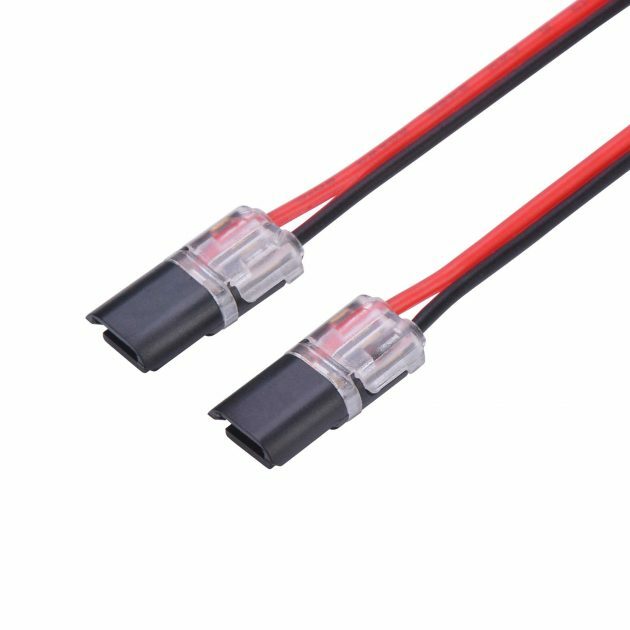 INT-IL-2-20 connectors are for use with 22-20AWG Cables. Ideal for use with IP20 and IP65 Cables. It is important to note that these connectors are IP40 Rated. There is no need to strip the cables for use with this product. Suitable for use with 3528, 5050 & 2835 single colour LED Tape. Ideal for use with 2,3 & 4 distribution box connectors.